While the dairy sector has faced challenges lately and the volume of property transactions has dropped, dairy farms are still selling, albeit at a reduced volume. Seven Waikato dairy farms changed hands in the first two months of this year, compared to 21 sales for a comparable period in an average year, and 13 sales during January and February 2015. Although the number of sales has declined, prices remain steady. Average land values for completed sales are only slightly lower than they were last year. Yes, dairy farmers are struggling at the moment and their earning capacity has shrunk. However, the value of farmers’ most important asset, their land, does not appear to have diminished. While the rural property market has reacted to the recent challenges in a way that could be rationally expected, willing buyers are still out there. 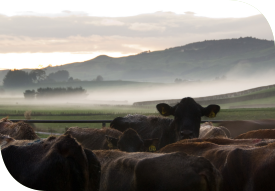 Meanwhile, elsewhere in the rural property sector, most other farm types are selling well, as are Waikato lifestyle and residential properties. My PGG Wrightson Real Estate colleagues who specialise in marketing lifestyle property have been exceptionally busy. To illustrate that, looking at the past 20 years, only 11 times have more than 100 Waikato lifestyle properties sold in any given month. Five of those 100 plus lifestyle sales months have occurred in the last six months. We have never had a run like it. Usually, we expect Waikato to record around half the number of lifestyle property sales as Auckland. At the moment, sales in the two regions are more or less equal. While the average value per Waikato lifestyle property sale has dropped slightly, that is because a large number of unimproved blocks are selling. Expect a shortage of bare lifestyle blocks some time soon. Likewise, Waikato residential properties are also selling at record levels. In the past, multiple offers on small-town residential properties were generally rare. However, virtually every sale at the moment in the likes of Morrinsville, Cambridge, Te Awamutu, Matamata and Otorohanga is subject to healthy competition from more than one party looking to make the purchase. My colleagues report similar levels of interest in the lifestyle and residential sectors elsewhere in the country.